The Rebirth Brass Band performs. Funny he mentions other sounds, as RBB has incorporated some hip-hop, R&B and other flavors into their traditional New Orleans brass and drum sound. It was a decision the band welcomed from its birth in 1983. Incorporating hip-hop into that traditional brass and drum sound wasn’t easy as older members felt it disrespected the history of the music. Frazier said he and some of the younger members argued that to attract a younger audience to their music, they needed to add some hipper flavors. What got them on board? 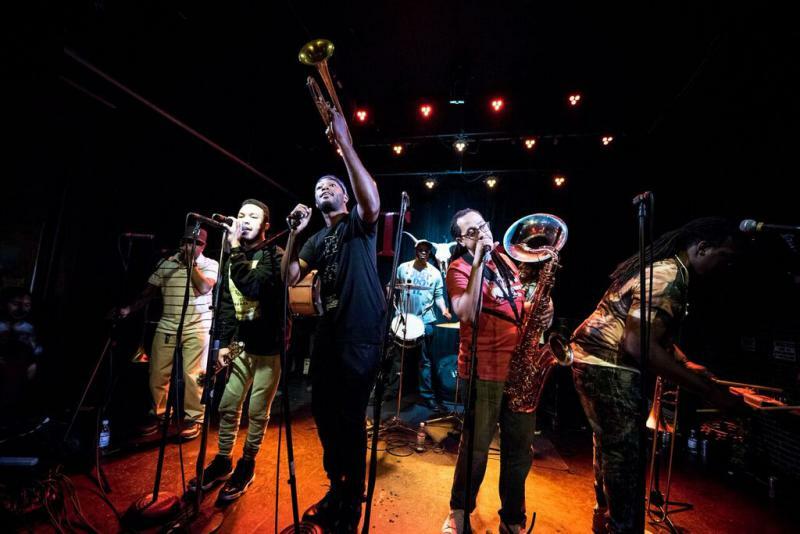 With New Orleans bursting at the seams with brass and drum outfits, Frazer said Rebirth’s commitment to those traditional tunes is what sets them apart. “We may play them in a new way, but we always start with traditional tunes. We like to start our set with a song called ‘Lord, Lord.’ It’s a very traditional song. We like to show people where the music has come from, then we take them to where the music had gone to. A lot of the other brass bands, they jump right into the new stuff,” said Frazier. The Rebirth Brass Band has had much success over its 35-year life span. 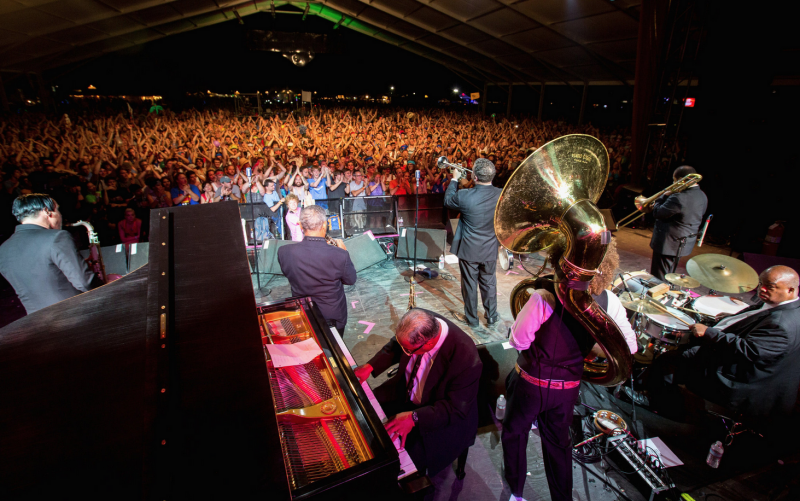 It won a Grammy for Best Regional Roots Music in 2011 for its “Rebirth of New Orleans” album. They’ve played all over the world and in front of numerous dignitaries. And they continue to give back. Longstanding member and snare drummer Derrick Tabb is the co-founder of “The Roots of Music,” a nonprofit that offers music education and lessons to disadvantaged youth in New Orleans. 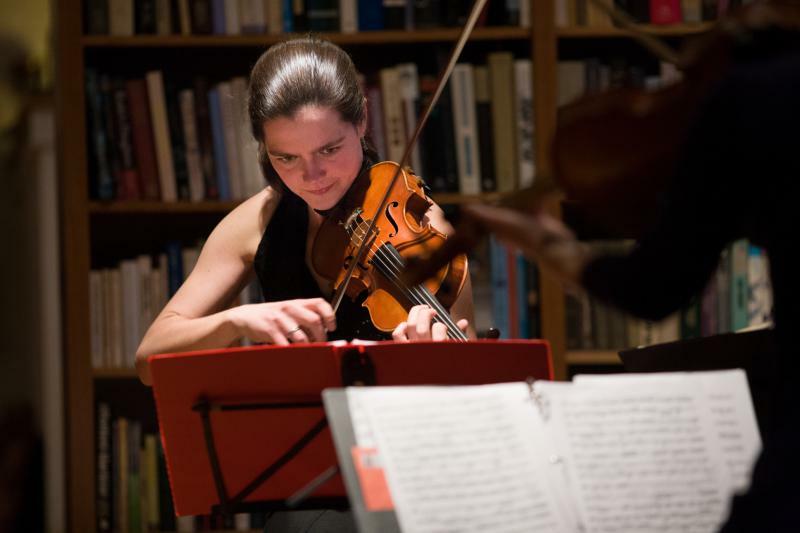 “Right after Hurricane Katrina, most of the music programs in the schools were taken away,” said Frazier. After the business end was worked out, Frazier said Tabb started a citywide marching band. “He got together with a bus company to pick up kids after school and bus them to a central location to teach them instrumental music,” said Frazier. When told the late director of the Bloomington Center for the Performance Arts, Tina Salamone, was fond of saying “When kids are creating, they’re not destroying,” Frazier concurred. The Rebirth Brass Band brings traditional New Orleans brass and drums (with a flavoring of hip-hop and R&B) to the Castle Theatre on Sunday, Jan. 14. Doors open at 6:30 p.m., and music starts at 7:30 p.m. Listen to Keith Frazier of the Rebirth Brass Band.